Golden Llamas are an upgrade from the Silver Llamas in Fortnite. They are the highest tier of upgrade Llamas and offer the best loot, usually including at least 1 legendary item. To get a Golden Llama, you will need to first crack open an upgrade Llama. 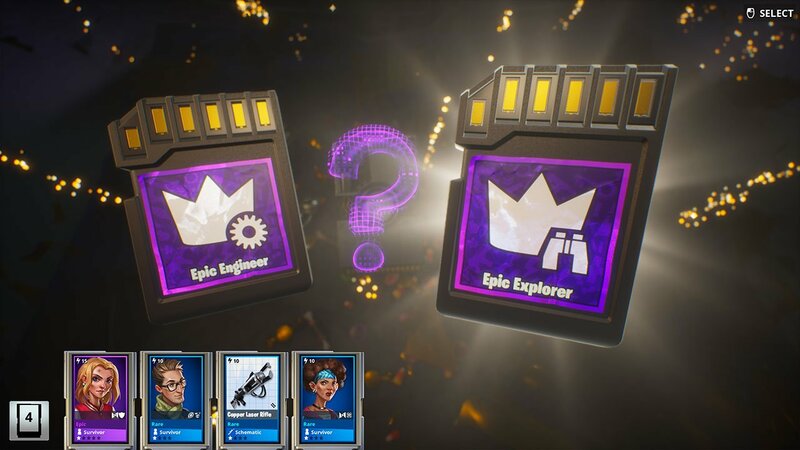 These have a chance of turning into a Silver Llama, and upon opening this one, has an even smaller chance of turning into a golden Llama! 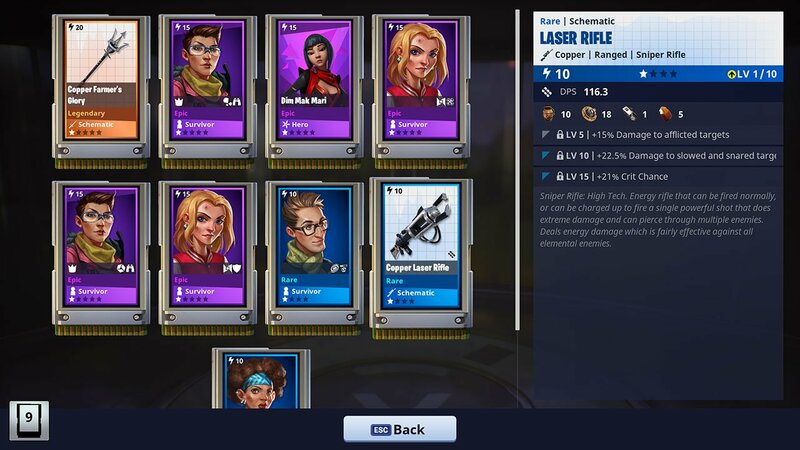 However, levelling your collection book to Level 13 seems to give a guaranteed Jackpot Golden Llama. Upgrade Llamas have an Up arrow on the saddle, where as jackpot Llamas have a picture of a chest. 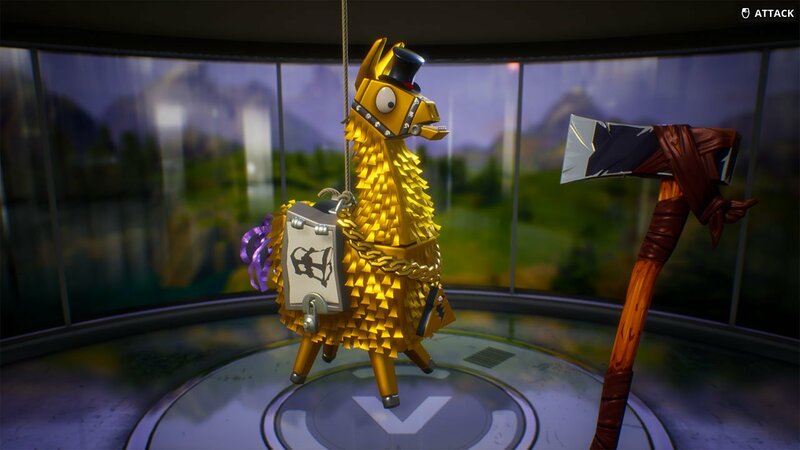 Golden Llamas are currently the rarest types of Llamas to receive. So far, I have received one from the collection book which I’ve covered in this post. I have also received one from a standard upgrade Llama. 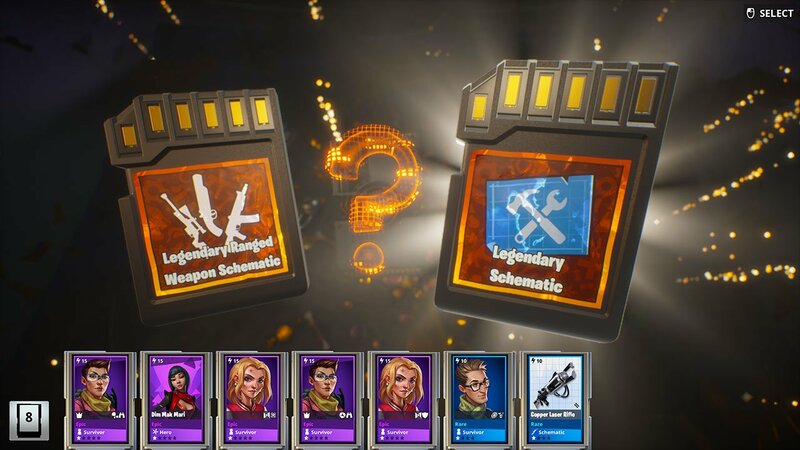 After opening the Golden Llama, I received two choice cards. The first was to choose between an epic engineer or an epic explorer. I chose the explorer. The second card choice was either a Legendary Ranged Weapon Schematic or just a Legendary Schematic. I chose Legendary Schematic, and received a ‘Copper Farmer’s Glory’. Below, you can see all of the loot I received from opening a Golden Jackpot Llama. Overall, it wasn’t a lot of loot and not a lot of great items either. 1 Legendary, 5 Epic items and 3 Rare items.